The countdown to the Christmas holidays is beginning in earnest. There are upsides and downsides to this time of year, and depending on where you fall along the “Christmas Spirit” spectrum, you may either be embracing the music, tinsel and lights or preparing to hide under a rock (or on a sunny beach!) for the next few weeks. If you’re the jingle-bell-avoiding-type, stop reading now. We’ll be writing a “get me away from it all!” piece next week. But if you love the season, you may want to know how our guides around the world are helping travelers discover Christmas in their cities and towns. Christmas in St. Petersburg: Farther north in Europe, St. Petersburg sparkles in winter. Our guide Alexander has designed a special winter’s day tour that takes advantage of the quiet snowy streets and less crowded attractions. You can visit the stunning Winter Palace and while away the day looking at the treasures in the Hermitage Museum, or shopping for traditional Russian handicrafts at one of the city’s Christmas Markets. 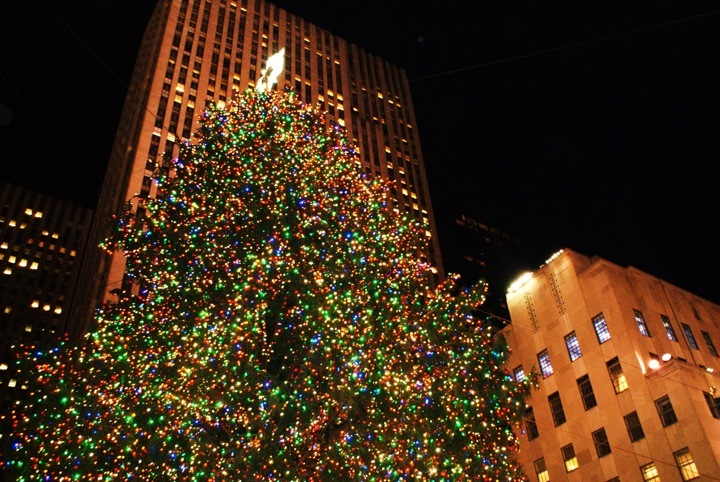 Christmas in New York: Across the ocean in North America, New York City is a classic holiday destination. From browsing the Christmas window displays at Macy’s to skating in Central Park and viewing the famous tree at Rockefeller Plaza, there’s no shortage of holiday delights in Manhattan. Any of our local guides will be happy to show you around the city this December, but one in particular has created a "Brooklyn Lights" tour to show you the burough's most colourful displays.